Education is a life-shaping activity that transforms a way of living. There is an unavoidable interdependence of knowledge and virtue that is evident in how intelligence engages the physical world. At Hillcrest these concepts undergird the foundation for education, understanding the cultivation of the mind is inseparably linked to the cultivation of character. We hold to the premise that all truth is God’s truth. Truth corresponds with reality, thus Christian education begins with the understanding that God has something to say about everything. The mission of Hillcrest Lutheran Academy is founded on the foundational principle that God created everything. As creator God, His perspective on reality is the true perspective. He reveals himself to us in creation (general revelation), in the Bible (special revelation), and through Jesus Christ (special revelation). Educating young men and women on God’s perspective helps them make sense of their world. Hillcrest’s mission involves the proclamation of the Gospel and instruction in the Bible, presenting students with an explanation of the world that is distinctively Christian. Because of this, our instruction naturally expresses the interdependence of knowledge (what is taught) and virtue (what action to take). All course instruction thus provides a clear understanding of what is required for human beings to flourish, and provides the nurturing value of a healthy functioning school community. Thus we fulfill our mission in this manner, in a Christ-centered, Bible-based environment. It is our conviction that conducting our school in this way produces students who will live lives of eternal significance. The Hillcrest culture is a warm, welcoming environment that produces a strong appreciation for Godly friendships and respect for others. The Hillcrest campus has a positive character that reflects the subtle but powerful understanding that every person is made in the image of God. Once accepted, this truth brings out the best in our students and provides them with an outstanding school community in which to learn and grow. 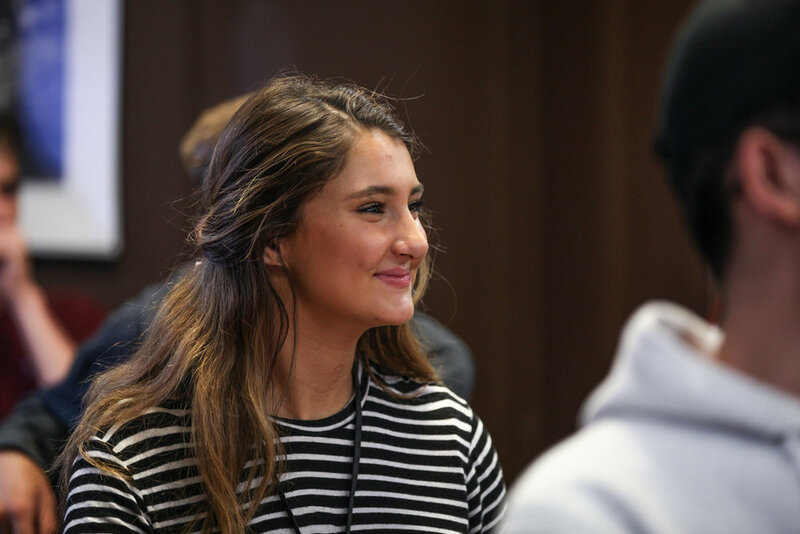 Regular presentation of the Gospel along with opportunities to question, share, and study the Bible, encourages students to seek their identity in their relationship with Jesus Christ rather than cultural and peer pressures. Hillcrest facilitates interpersonal development with Jesus Christ in a small school atmosphere, providing an environment that promotes positive opportunities to receive instruction and build relationships around a Biblically-based classroom experience. As a boarding school, Hillcrest receives a regular infusion of new students, providing a fresh and vibrant dynamic each year. Established community and classroom expectations provide an excellent context for students to study and learn. All of this, plus an intentional school program with mentoring at its core, provides a Biblical context to develop healthy friendships with peers and adults. Hillcrest Academy offers the academic rigor necessary to prepare for university and a successful college experience. Hillcrest’s academic success is largely based on our instructors working with students to build an understanding in the character of God as they progress in their understanding of the world God created. The test scores from Hillcrest students display the academic rigor that is evident in the Biblically-based and Christ-centered approach to education and character formation. Advanced Placement courses offered as part of the Hillcrest curriculum include AP European History, AP Calculus, AP English Composition, AP English Language, and AP Art. In addition to the required courses at HLA, students round out their academic experience with elective courses.